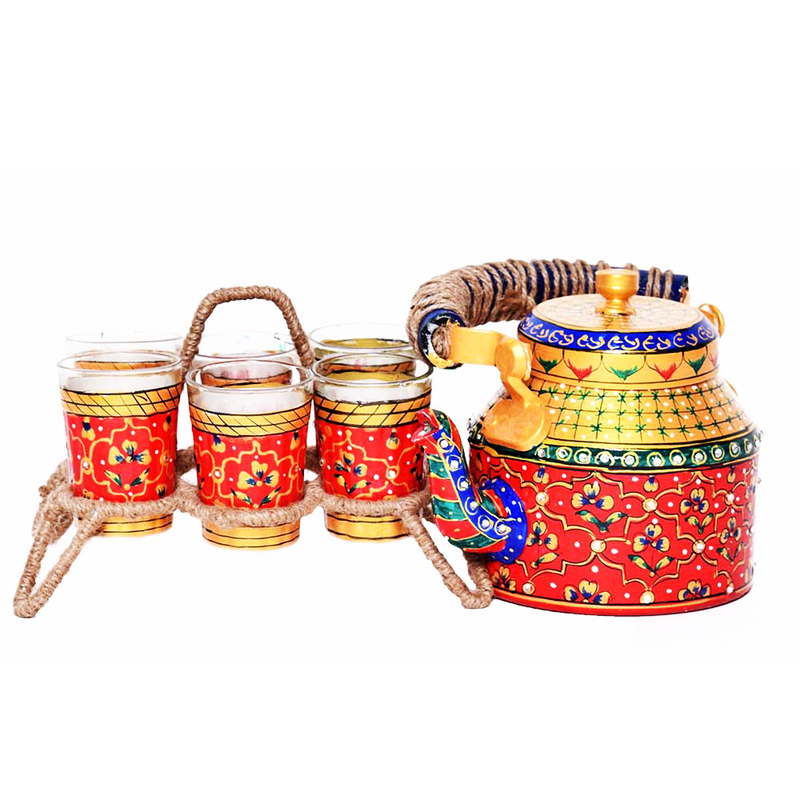 This set of metal kettle, and tea serving glasses, made from glass is elegant and traditional in design. The complete set would comprise of six glasses, and one metal kettle. 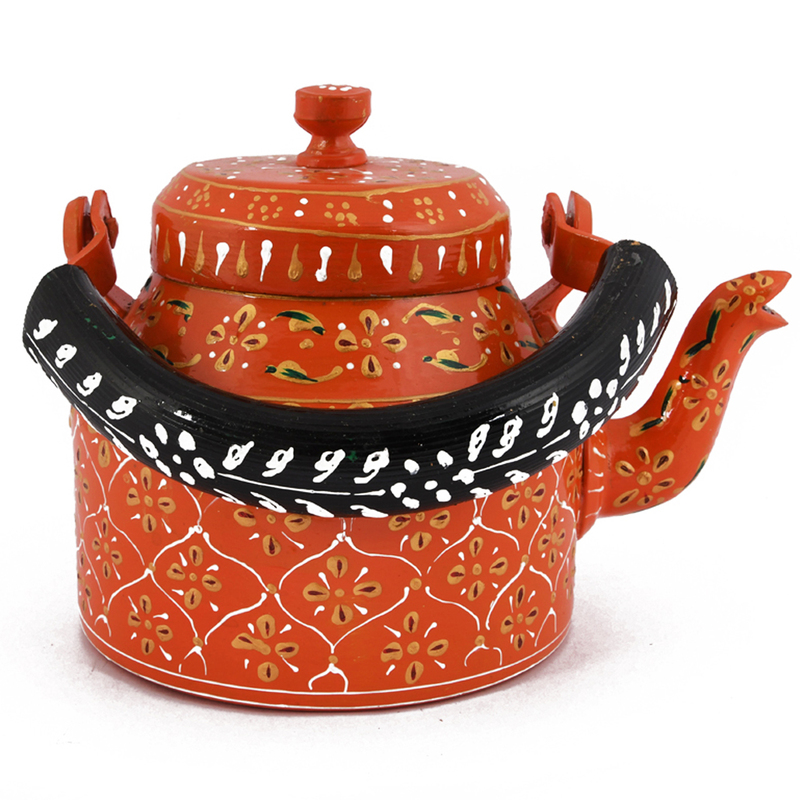 The metal tea kettle is designed in a way which makes it look like it is made from terracotta. 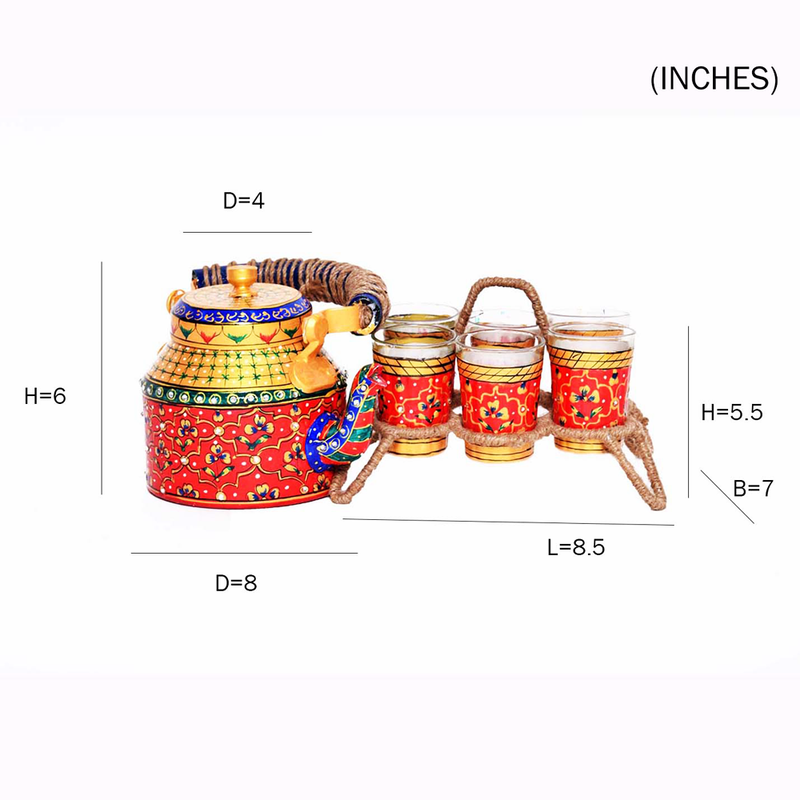 The six tea glasses are also Read More..designed in a similar fashion. The terracotta colour, along with the black handle makes it look stunning, and anyone would be able to spot it instantly. 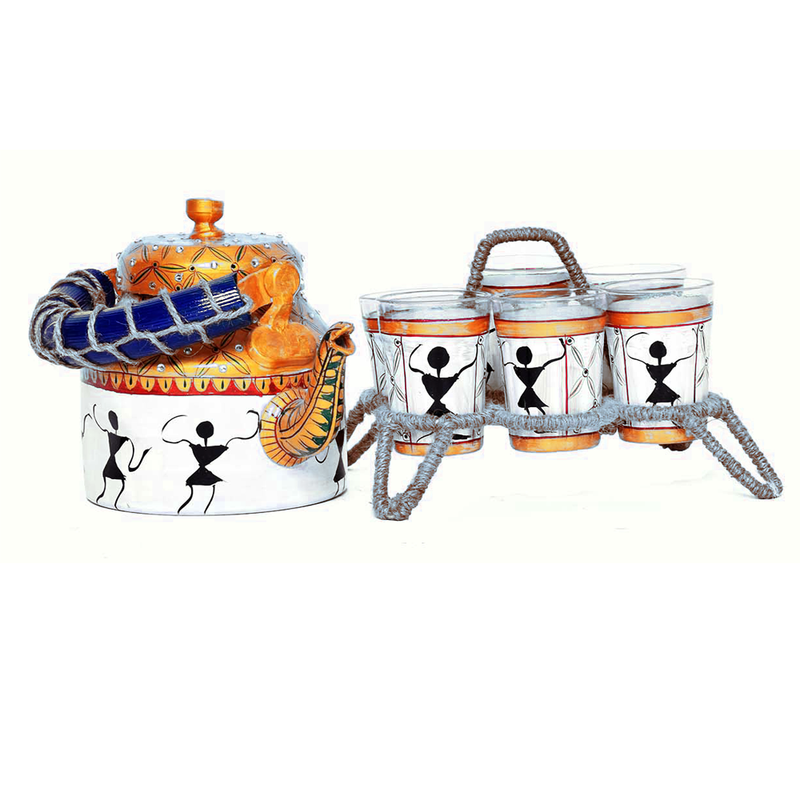 This entire set is a great gift option, and would make an exceptional corporate gift. The designing on the body of the kettle, and the glasses, make it look like they are engraved, when in reality, they are painted on. This should only reassure people of how good the craftsmanship is. Show Less..